In the spirit of this month’s Winter Olympics, it is imperative we in the golf industry – and all golf fans worldwide – voice our opinion about the individual format for golf at the 2016 Games in Rio de Janeiro, Brazil, as recently decided upon by the International Golf Federation ( IGF). I know I’m not alone in espousing an anti-individual format and would highly revere witnessing a team competition for a host of reasons. I am not going to mince words. The IGF got this wrong, in my opinion. I’ll prelude my position by also stating I don’t even believe golf should be in the Olympics in the first place. However, since it is a “fait accompli,” a team competition should take precedent over an individual one. I’ll digress. First, to remove a staple sport such as wrestling, a sport dating back to the 1896 Games in Greece during the first modern Olympics (and 708 BC in the Ancient Games), only to replace it with golf, is not fair…although wrestling was later reinstated. There are also many typical North American backyard barbecue hobbies which are sports with both a wide audience and intense interest level in other parts of the world when played at a high level…badminton and table tennis come to mind. Another inclusion in 2016 is rugby, and rightfully so, not because it is incredibly popular worldwide (although somewhat), and not simply because of its rough and athletic nature, but because winning an Olympic medal in this sport and the aforementioned backyard barbecue hobbies is the pinnacle for these athletes. Wrestling naturally falls into the same category. Turning back to golf. Is an Olympic medal the revered prize? Is it something a young Tiger Woods, Phil Mickelson, Rory McIlroy, Annika Sorenstam, Suzanne Petterson, Lydia Ko, or any other prominent professional golfer grew up dreaming about winning? Of course not! Now, some may argue today’s professional golfer never had the dream of Olympic glory, for it was not an available opportunity. Nor should it be. Golf has a storied history of revered championships that golfers thirst to win. An Olympic medal may look nice on the mantle, but a green jacket, Claret Jug, or US Open trophy will always glimmer brighter. Take it a step further. A Masters victory offers a lifetime invitation down Magnolia Lane. I’m sure Greg Norman would agree he was blessed with a fine career, but to say something is missing is an understatement, and it isn’t Olympic gold. Without getting bogged down in the political and financial argument that surely propagated golf into an Olympic sport, it is fair to say an Olympic medal is not the “Shangri-La” for the individual golfer. If golf is to gain a stronghold within the Olympic movement, a team competition is paramount. National pride is at stake, as we witness in sports such as hockey, basketball, curling, soccer, and now even figure skating. The Ryder Cup portrays an emotional intensity level not seen in any other professional golf tournament. The President’s Cup falls short in this regard; however, fragments of intensity are apparent. 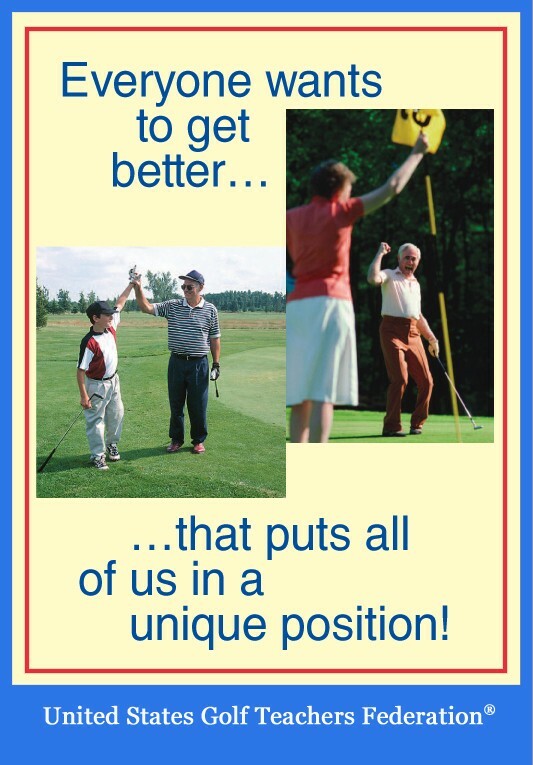 The same can be said for a variety of other golf team competitions, be it in the professional or amateur ranks. This being said, would golf fans tune in in droves to witness Tiger or Phil win another tournament, say the right things, and then have them go about their business two weeks later at the FedEx playoffs? What about Olympic glory? Forget about it! There is a $10 million dollar annuity, season-ending championship, and player of the year award at stake. The Olympics were great and all but hey, there are other big fish to fry. Would sport fans tune in to watch their underdog nation have a chance against a stalwart golf nation? You bet. The IGF proposed a format to the IOC (International Olympic Committee) for a “72 hole individual stroke play format for both men and women, reflecting the leading players’ opinion of the fairest and best way to identify an Olympic champion,” according to the IGF website. Wow, is all I can say! Here we have an international sporting organization, governed by the leaders of the stewards of the game in the Royal and Ancient, the USGA, worldwide national golf associations and professional golf tours, and they leave it up to the leading players to choose the format? Whatever happened to true stewardship? Should the millions of golf fans and thousands of professionals employed and driving the industry not have a voice? Here we have an opportunity to grow the game in developed and emerging markets, and the decision is left to the top 120 players in the world? Sure, they may be popular, but do they truly know what is needed within the industry and relished by sporting fans? Do they truly understand the weight of their decision? As the competing athletes, I question their objectivity, and the enormity of the decision should not have been placed in their hands. Golf has a competitive edge over many sports in its uncertainty. Underdogs on paper often win, especially in a team format. We’ve seen it time and again in the Ryder Cup with Europe. Who’ll ever forget the “Miracle on Ice” during the 1980 Winter Olympics in Lake Placid, when the US hockey team won the gold, upsetting the Russians during the semi-final match at the height of the Cold War? A winning team’s dynamic is often immeasurable and cannot be defined. This uncertainty is what can often propel a sporting event and a sport to a different stratosphere. The fact golf has an opportunity to not only be showcased, but to embrace its competitiveness and uncertain outcome on a world stage, is fortunate. It has been given a second chance in the Olympics. As golf fans, we already know who the top players are and do not need the Olympics for further proof. This cannot be said for other sports; hence, the Olympics are very much required for individual accomplishment and glory for many athletes. National team over individual pride for a golf victory would be held in great stead by the players, future stars, and fans alike. Furthermore, the uncertainty of a team victory heightens the suspense. Imagine an emerging country taking on the USA in a final match for the gold. How much weight would that hold in growing our game both home and abroad? Sorry IGF, I believe you missed the mark.